Our mission is to provide high quality food with exceptional service at affordable prices. Best Falafel owner/operator Hisham Wattar was born in Damascus, Syria, the youngest of 7 children. Growing up in the oldest inhabited city in the world with a father who capitalized on living at the crossroads of numerous cultures and trade made Hisham unafraid to make his own way in the world. Canada had always seemed to him a land of opportunities, a peaceful culture of friendly, down-to-earth people. 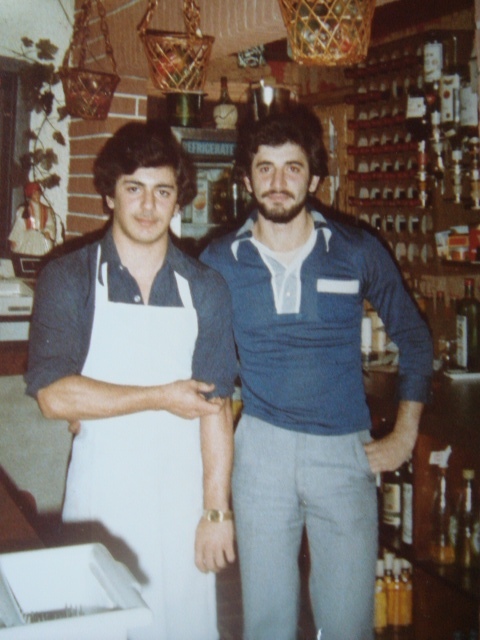 In 1987 he landed in seaside New Brunswick to open a Middle Eastern dining room. When eastern Canadian winters began to cause chronic pain in his polio-ravaged leg, he knew it was time to make some more very big changes in his life. Temperate and beautiful, Vancouver’s climate beckoned to Hisham and his growing brood of four children. In 2000, Hisham found a great opportunity and bought the restaurant. Using his own brand of high-energy drive and natural hospitality, Hisham turned the store around. A simple recipe combining fresh ingredients, mouth-watering flavours and exceptional customer service has made Best Falafel a local fixture – no small feat in the foodie paradise that is Commercial Drive, and now also on the West 4th Avenue. The Wattar family is proud to have served over a million happy customers. The restaurant continues to employ people they consider as their family. Best Falafel invites you to dream of Damascus’ warmth and spice as you experience the best middle eastern food in Vancouver.